Foreclosure is a term many people may have heard of yet are unsure as to what the term means exactly. A foreclosure is something which affects homeowners who have a mortgage or lien on their home and do not own the house outright. There are a few things which homeowners should be aware of with regard to foreclosure in order to prevent this from happening to them. 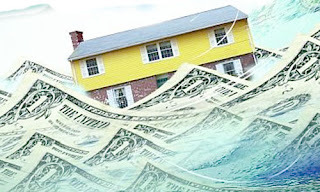 First, what is Foreclosure? Foreclosure is when a lender who currently holds a mortgage on one's home can come in and repossess the home due to a number of reasons but mainly for nonpayment of a mortgage. For those individuals whose home is less valuable than their current loan balance, they may also owe a deficiency judgment as a result thereof. In short you would not be the homeowner, your lender will. A homeowner who is having problem with his/her mortgage payment should get the help, such as “Talk to a foreclosure avoidance counselor”, “Talk to your lender”, “Find state and local foreclosure resources”, “Contact HOPE NOW”. These contacts can help you a lot from foreclosure. If you will be careful as a home owner from the beginning, you would be able to deal with this foreclosure problem. There are some things that you, as a homeowner should do. Just do not ignore the problem. Do not ignore the letter from your lender, if you think you are having problem making your payments, call or write to your lender. Explain your situation; provide them your financial information. Stay In your home for now, because by leaving your home now you may not qualify for the assistance if you abandon your property. If you end up in the situation of foreclosure there are some alternatives for you. Such as, Special Forbearance, which means your lender many be able to arrange a repayment plan based on your financial situation. Mortgage Modification, in which you may be able to refinance the debt and or extend the term of your mortgage loan. And there are many other alternatives to avoid foreclosure such as, Partial claim, pre-foreclosure sale, Deed-in-lieu of foreclosure. There are some situations where you can or cannot qualify for these alternatives. And to know you should contact your lender. People have to be more careful because losing your shelter is not good in short term and in long term as well in terms of credit. great review, I would definitely seek advice on foreclosures.